The Human Development Index (HDI) is a summary measure of average achievement in key dimensions of human development: a long and healthy life, being knowledgeable and having a decent standard of living. The HDI is the geometric mean of normalized indices for each of the three dimensions. 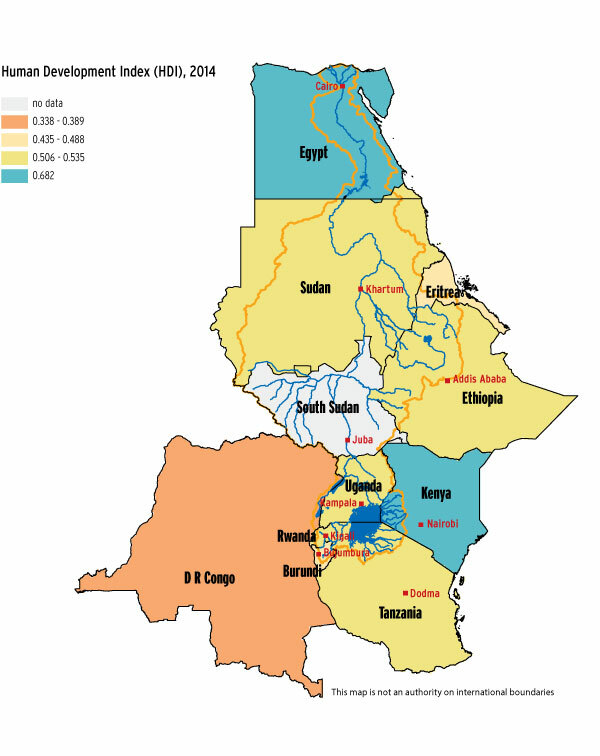 All Nile Basin countries are in Low Human Development category with the exception of Egypt which is in Medium Human Development category. 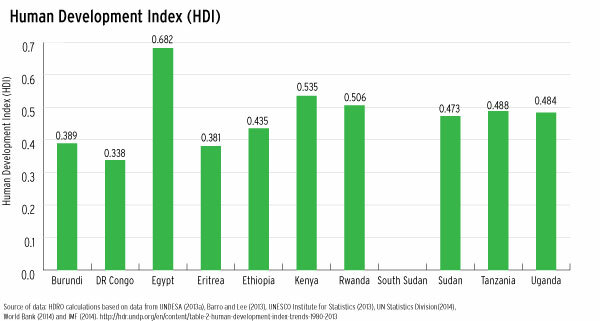 Since 2000, all Nile Basin countries, however, have shown relatively rapid improvement in HDI.